No really, we owned all four days of our long weekend. 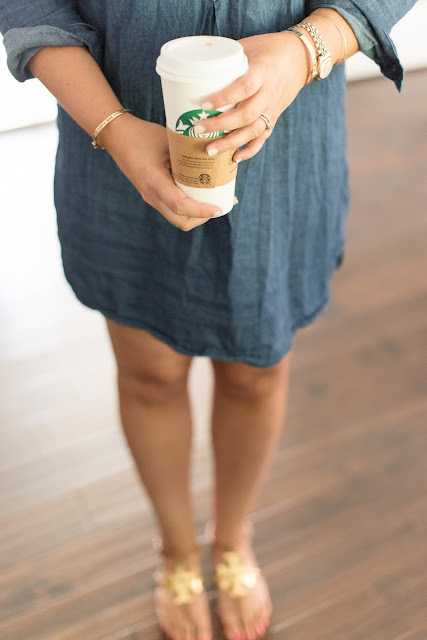 There are a billion photos, but let's be honest, everyone is just in this weekend recap to see if they're the lucky winner of the $25 shop credit to Life With Peanut, so I'll keep it short and sweet. 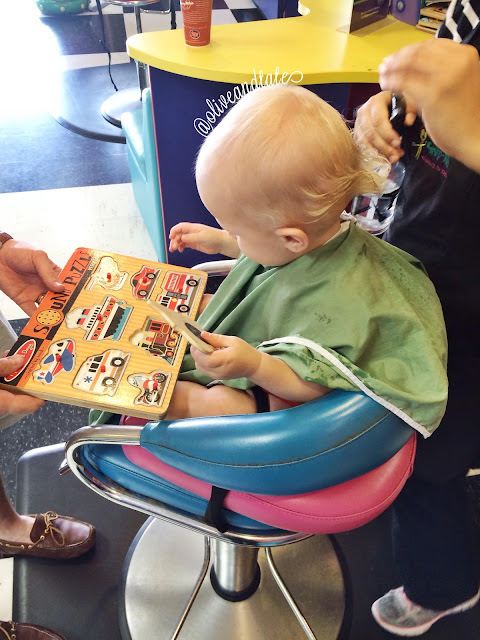 I had a big Mama week last week with the baby starting Mother's Morning Out but my husband thought my Mama heart could handle just a bit more and insisted that we take our mulletted boy to get his first hair cut. I told that woman with the scissors that I just wanted a teeny trim off the back. Half way through the sheering I had to tell her "ok, ok, that's enough". My husband laughed at me as she bagged his curls in a little Ziploc and handed them to me with as little judgement as she could muster (she could have tried harder but whatever). Just like our first day of MMO, I was the only one who cried. Side eye to my kid for making me look soft. 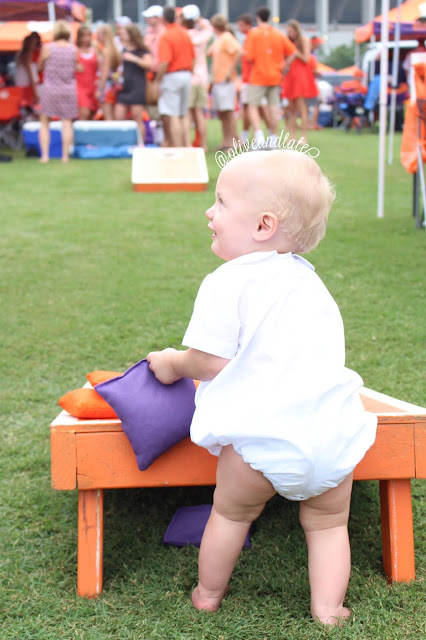 On Saturday we loaded up everything we own, grabbed a Chick-n Mini platter and headed to our first Clemson tailgate as a family of three. Yes, we took our 14 month old. We set up a baby play pen, complete with flooring, a mini tailgate chair and lots and lots of toys, and carried on with tailgating as we know it. We did take the baby into the stadium (in a Ergo 360, armed with infant noise canceling headphones) and he made it approximately 12 seconds. I can't blame him, it honestly is hot as balls in that stadium and he just wasn't having it. So out we went for a car nap and another round of cocktails for mama. Clemson had quite a few points on the board by half time so we hit the road, flopped onto sofas for power naps and hydrated for later in the evening. We had our friends over for wings and the night game and acted like the oldest people on the planet just laying around in our pjs eating wings. On Sunday we hit the road again, this time to our favorite vineyard in North Carolina with Ashley and Andrew. I so love the laid back vibe at St. Paul and the weather was perfection. 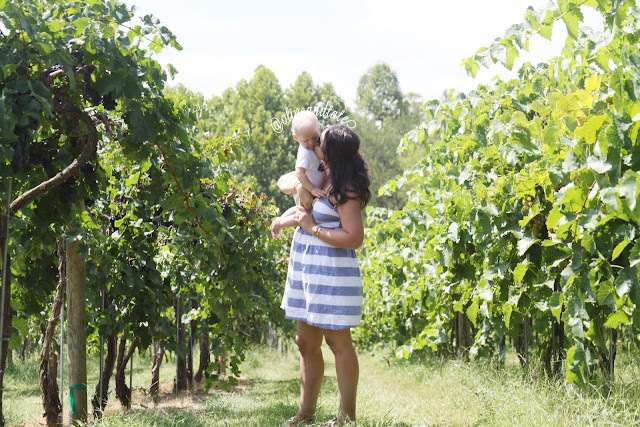 The baby was a good sport and we let him tromp around the grapes and pick a peach or two. 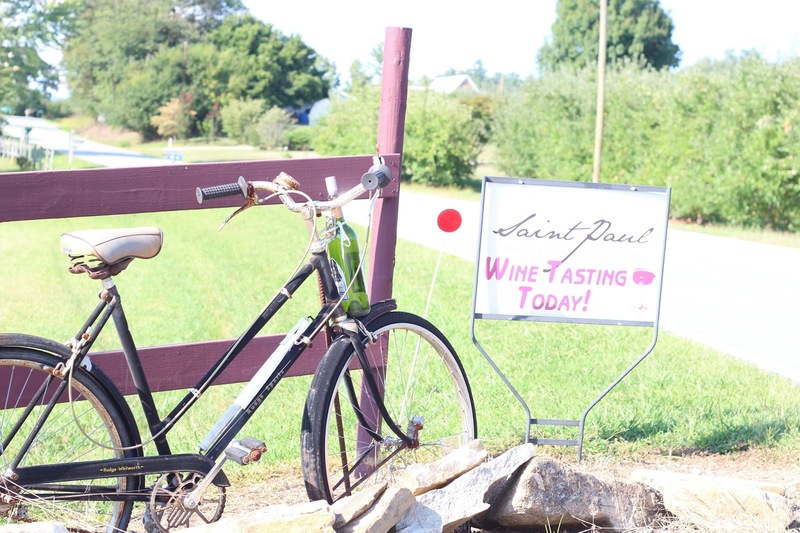 I spent the best $10 of my life and did the full tasting of all of the wines produced by St. Paul and housed a food truck burger. Ah, the perfect Sunday. And so did my crazy cleaning mania. Admission: I'm somewhat of a clothes hoarder - I'm one of those people who attaches memories and sentimental value to clothing - so rogue but so true. 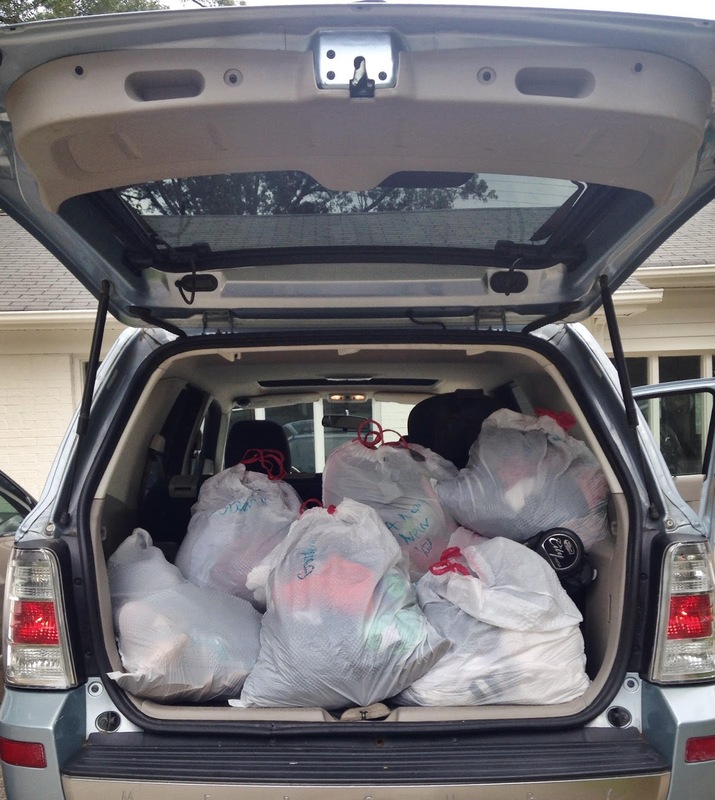 So as a result, I have a lot of clothes. And quite a few of them simply don't fit. They either haven't fit in a while, were less expensive pieces that I worked to death in the wash or they don't fit my new body. It's taken a while (14 months) but I'm ready to move forward with what I'm working with now (mostly my new knockers) and send my old clothes on to a better life than the back corner of my closet. So, I destroyed my closet. I donated a dozen bags of shoes, work clothes, pre-baby clothes and maternity pieces to local organizations. And it felt amazing to clear it all out of my life. Riding high on my clothes purge, I crushed a few more things on my To Do List and then pranced around bragging to Justin about how much I had accomplished on A HOLIDAY! And, because I know some of you are dying for confirmation, I'll go ahead and confirm that the big Kitchen Reno Reveal will go live tomorrow (Monday) evening. 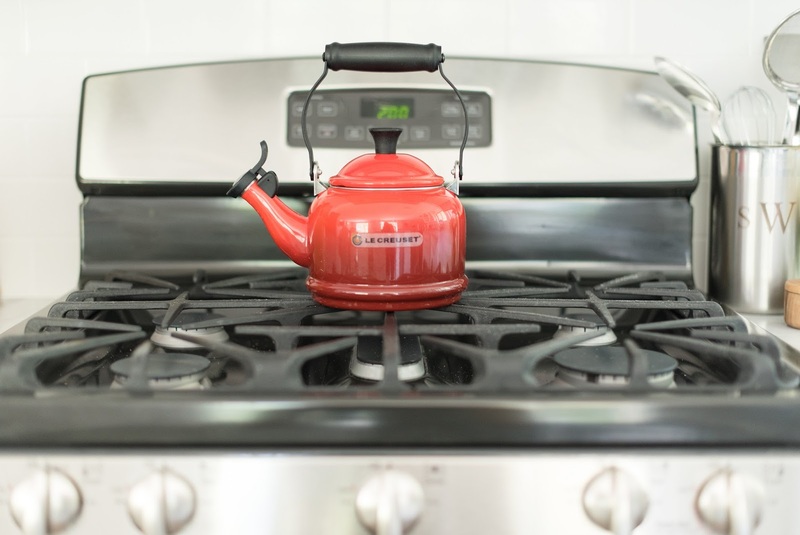 I'm so excited for the post to go live - the kitchen is finally complete, Christa's photos are gorgeous and I know those of you following the renovation posts are chomping at the bit for this one. And now, thanks to everyone who entered the Life With Peanut shop credit giveaway last week! 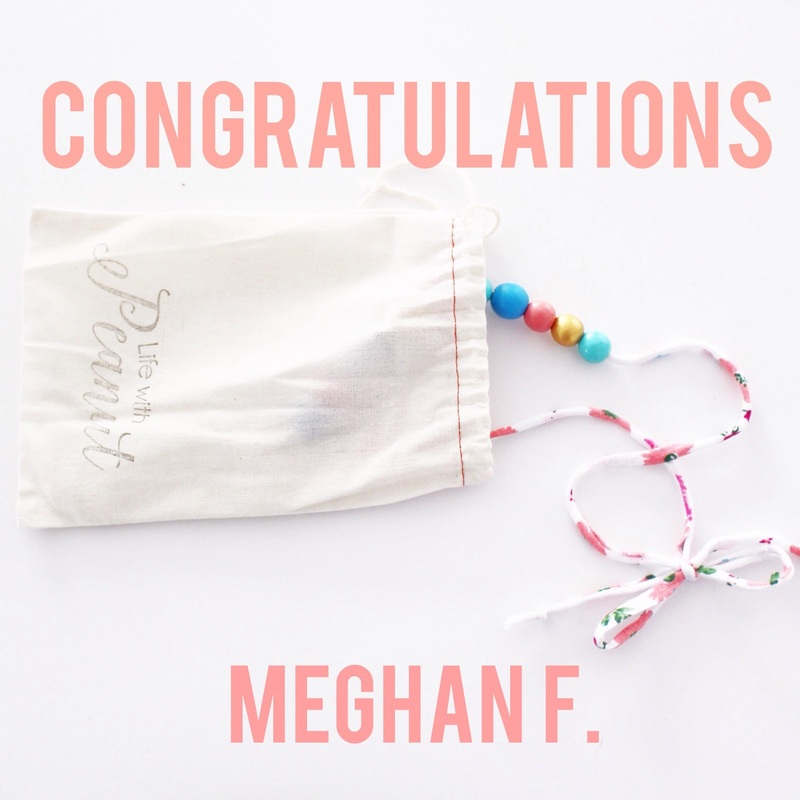 Congrats to Meghan F., you're the lucky girl and I cannot wait to see what you choose! If today wasn't your day, don't fret, you can still save 20% on your order with the code OLIVEANDTATE! Hope everyone had a great weekend - see you tomorrow with photo documentation of the cleanest my kitchen has ever been. I'm so excited I won! I can't wait to pick something out :). And boy does that first haircut bring back memories! Noah had a mullet too and I remembering getting upset at how much they took off. You'd never know now since we keep his hair so short and I look back shocked at how long we left the mullet ;). Yay for tailgating and wine tasting! Also, seriously closet purges feel sooooo good! Helps with feeling less overwhelmed with an over flowing closet. Way to crush it! Kudos to you for bringing him to a football game! I definitely want to be the kind of parent that still does regular things with baby once we have kids... even if it means leaving a little early.